Fighter Yak-1B of Major Boris Eremin on Chernyshevsky Square in Saratov. At the request of the director of the museum of local lore M.P. 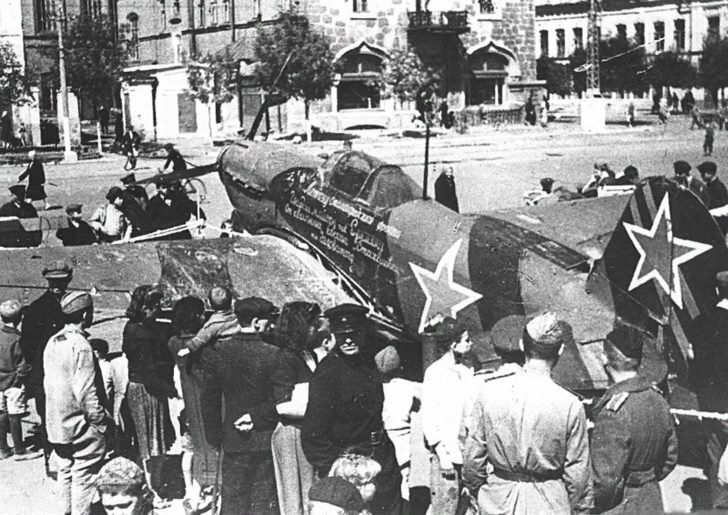 Golubeva, who wrote the letter to Joseph Stalin, and the inhabitants of Saratov, Yak-1B, a fighter with a dedication “To the Pilot of the Stalingrad Front Guard Major Eremin from the collective farm”Stakhanovets” comrade Golovaty” was sent by rail to Saratov and installed in the central square of the city in the summer of 1944.